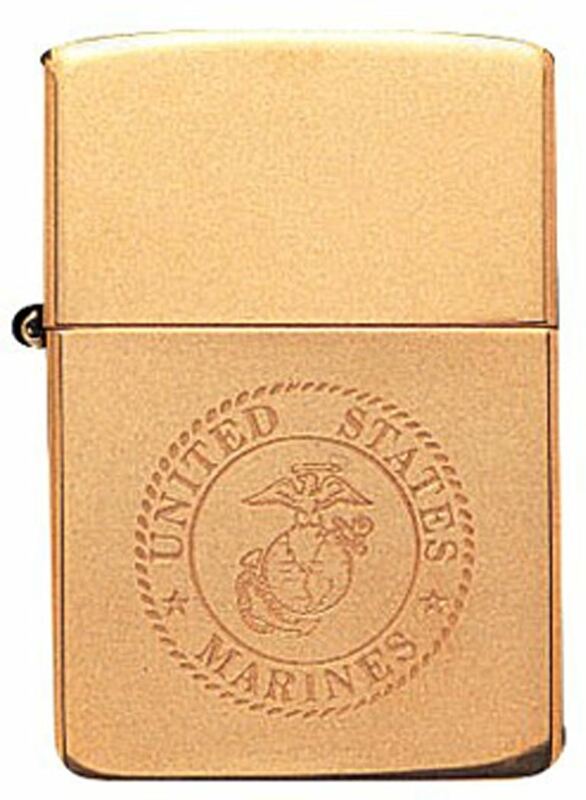 This flip-top windproof Zippo is finished in brass with a US Marine Corps Emblem engraved. 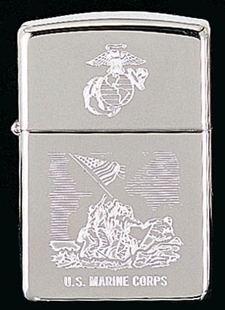 This flip-top windproof Zippo is finished in chrome with a "Marines" and the Marine Globe & Anchor. 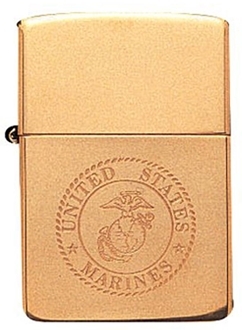 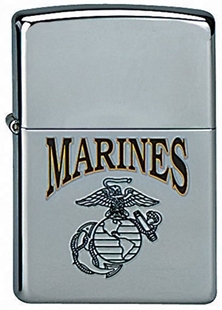 This flip-top windproof Zippo is finished in chrome with a US Marine Corps Emblem engraved on the top and the USMC raising the US Flag lower down. 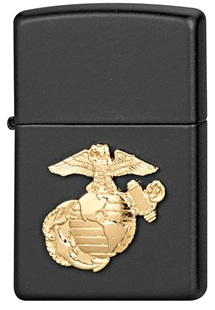 This flip-top windproof Zippo is finished in black with a US Marine Corps Emblem. 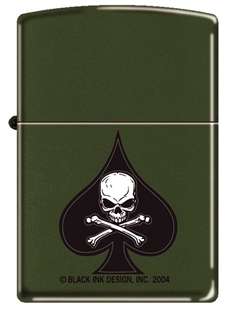 This flip-top windproof Zippo is finished in matte green with a Death Skull from Black Ink Designs.